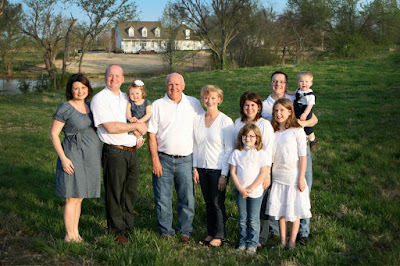 Julie Dawkins Family: Family Photo Shoot! Since I'm the photographer in the family I had the challenge of taking the annual photo. This time with two 1 year olds and myself 6 mo pregnant not to mention the Oklahoma wind...which did lead to some photoshop needs. But all in all not to bad if I have to say so myself. The invention of the auto timer is a miracle!